This post has been updated and was originally published in January of 2017. It’s that time of year, friends. That’s right! All those heart-shaped candies, red foil balloons, and giant teddy bears are in the stores for one reason. I appreciate each one of my dear girl friends, so what better way to celebrate my friends and take a break from work than with mimosas, rose, and funfetti pancakes and waffles? The answer is there’s no better way. 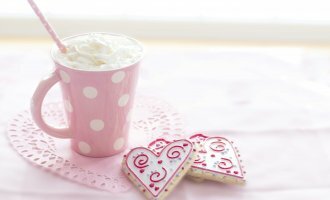 So how can you plan the perfect Galentine’s Day to celebrate your girls? Lucky for you, I’ve got all the inspiration you need right here. Here’s what you’re going to need. I am in love with hosting people. I’ve always said that I want our home to be a place that people love to gather. That’s probably why I get really excited when my husband and I have the opportunity to host people in our home for holidays like thanksgiving or just every-day life. As I’m sure you’ve heard me say before, there’s just something about the quality of conversation that comes from sharing a meal or a cup of coffee with another person. 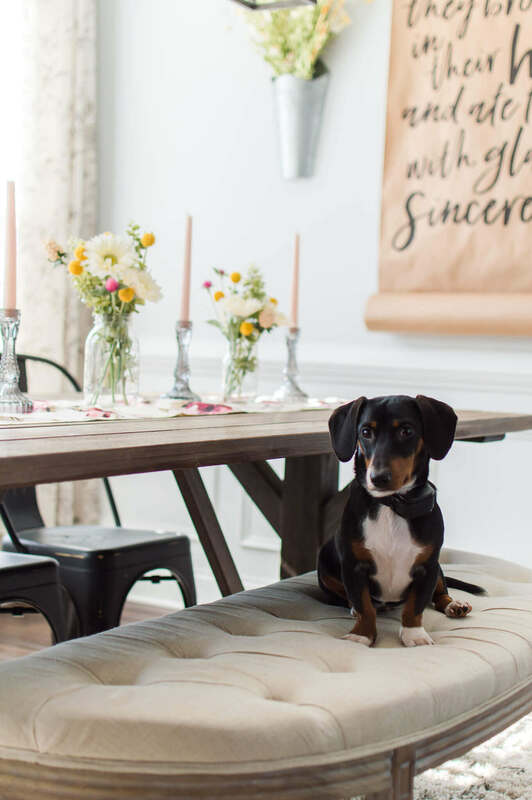 Opening your home to your friends for this special occasion will make the time you share together feel homey, comfortable, and a memory to remember. I’m a sucker for cute place settings. (and I think they can ultimately make or break a table!) But did you know that you don’t have to bring out your nice China in order to host a Galentine’s Day Brunch? (Unless that’s what you want to do – you go girl!) 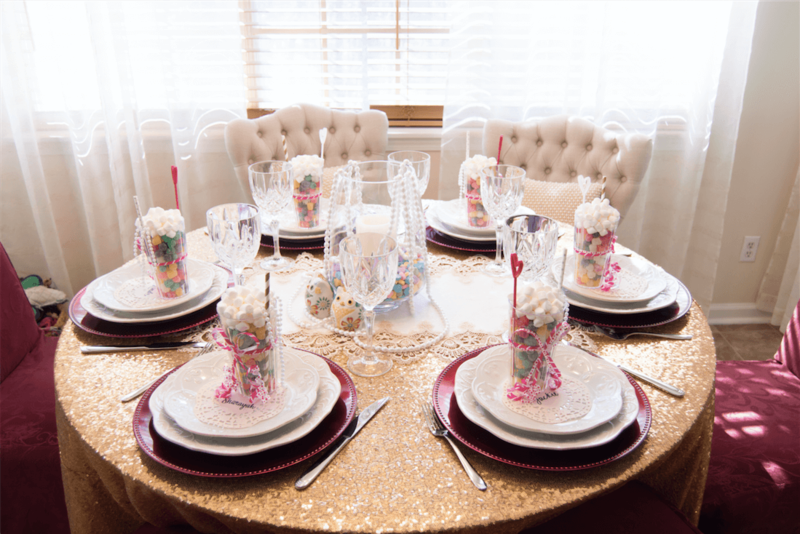 Once you’ve picked your festive, pink-filled color palette for your brunch, head over to the party store to pick up paper plates, cups, and plastic cutlery. 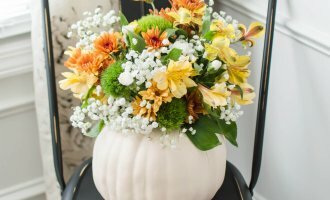 You can even take it a step further by dressing your table with a super cute table cloth, some chargers, or a unique napkin fold. 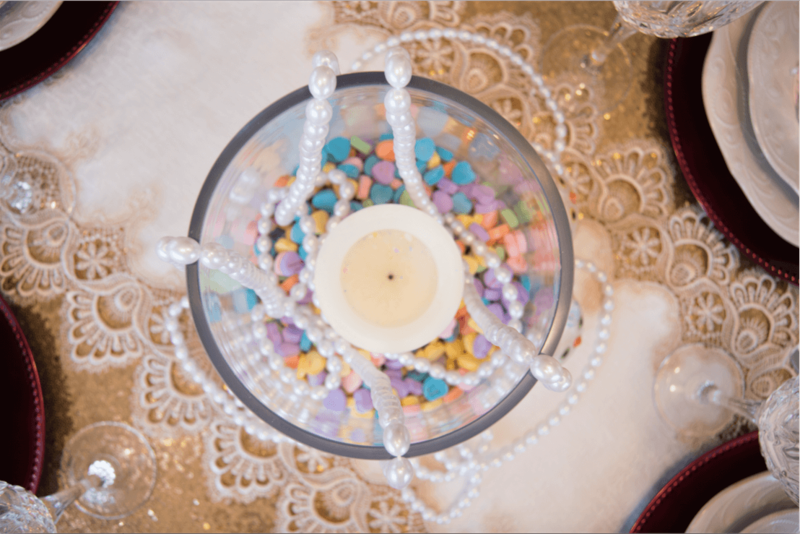 Get your guests excited about Instagram-ing the event by dressing up their table setting. Keep it simple like this idea from Inspired by This, or you can try calligraphy place cards displayed with a little treat for them to take home on top. 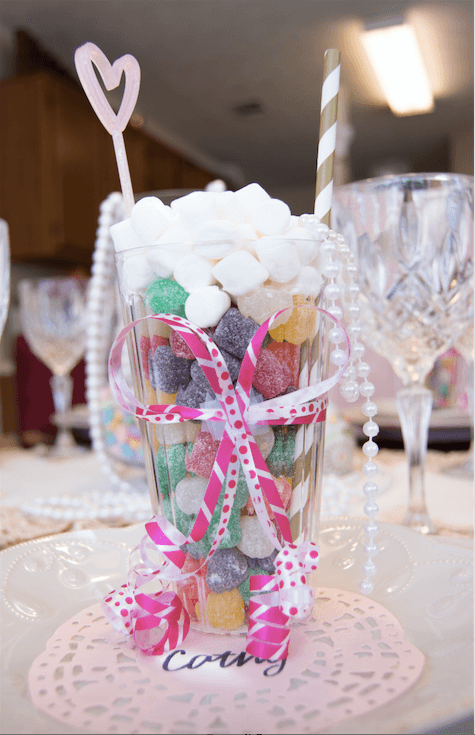 Take this gum-drop and marshmallow milkshake style favor that I did for Galentine’s Day a few years ago as an example. I got the stir sticks, pink paper doilies, and paper straws at Target, and the rest came from Dollar Tree! 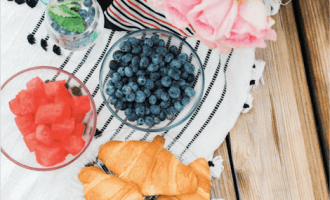 Like with the place settings, you don’t have to go out and buy a fancy, expensive centerpiece just to host a Galentine’s Brunch. This is a great opportunity to repurpose something in your home. It’s time to put those easy DIY pins that you’ve stashed away for a rainy day to good use. 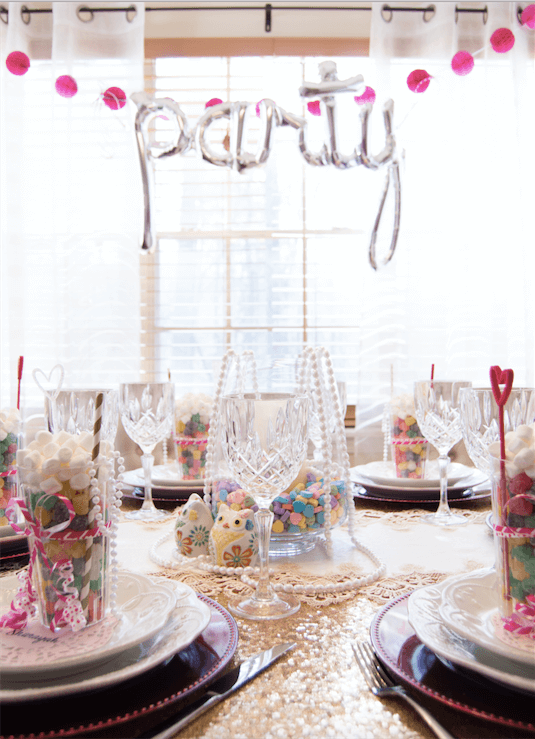 Take an old vase and keep the candy coming with this super cute idea using those conversation hearts that we know you won’t be eating anyways! 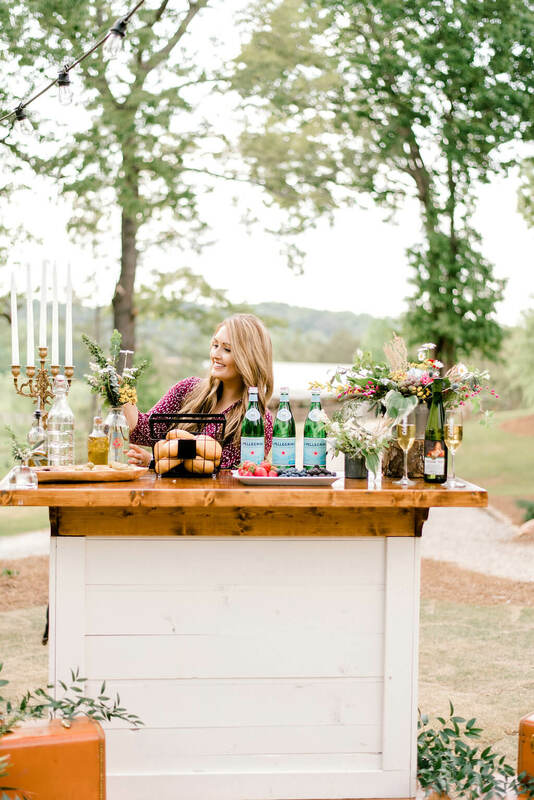 You can also keep it simple with a fun and flirty tablescape that you can transition into Spring. 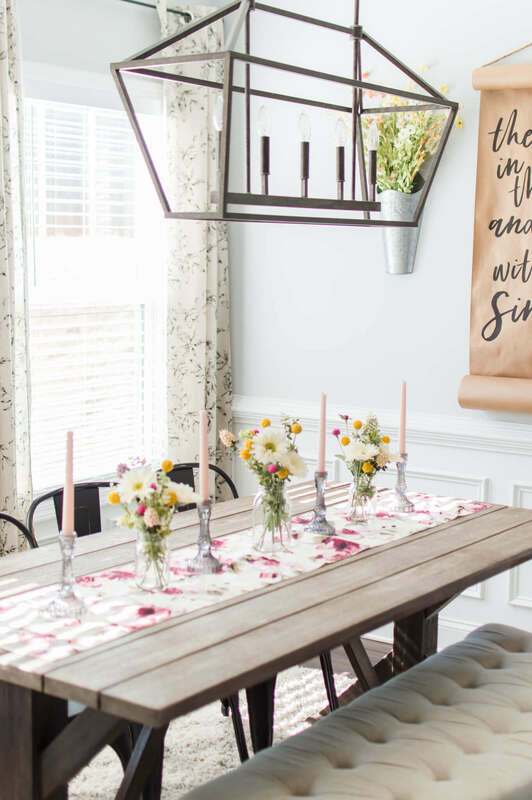 I found when transitioning my dining room into spring mode that this floral table runner from BBJ, mauve taper candles, and wildflowers in mason jars really added the perfect amount of delicate pink touches for a Galentine’s Day brunch or tea party style gathering. 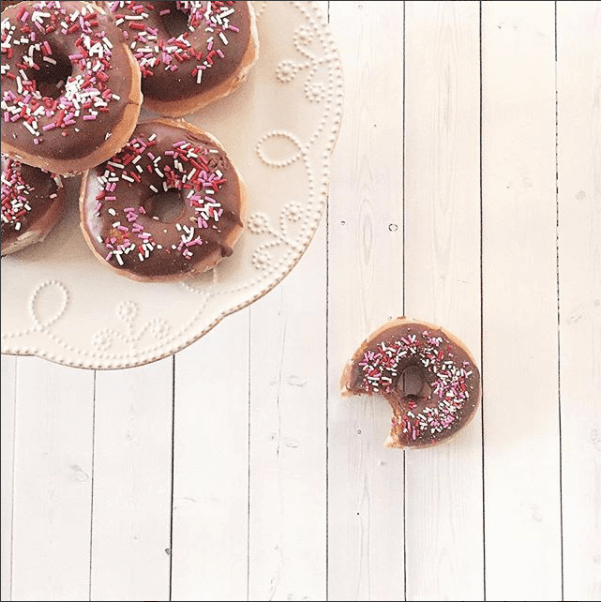 One of the things that can make your Galentine’s Day Brunch so much sweeter is the food that you share. (Or the cocktails you drink!) You can decide ahead of time whether you want to provide the spread or each person bring something to share. With each person coordinated to bring a different dish (or cocktail! ), it not only takes the stress off you as the host, but it gives everyone the opportunity to feel important, appreciated, and also thankful for the friends you’re in company with! Let’s be honest, being told that someone loves the dish that you poured your love and time into has a way to make you feel like the winner of Chopped. Brunch is always a good idea, especially when rose or mimosas are involved. Did you know the best mimosa is actually 99% champagne and 1% orange juice? 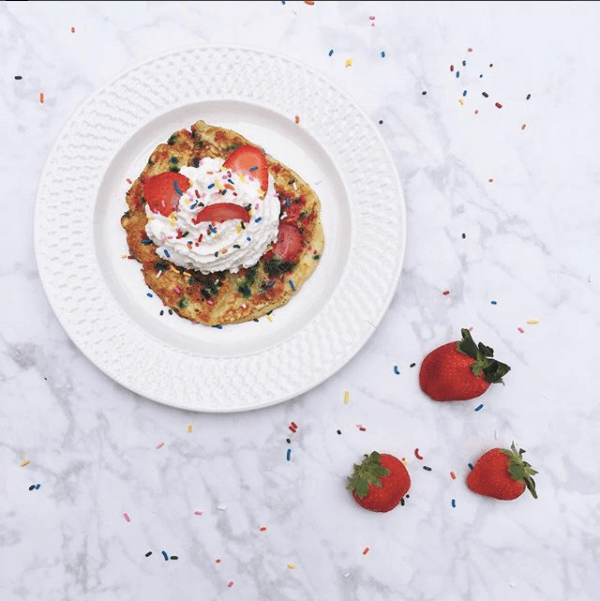 Whether you want to channel your inner Leslie Knope with a simple waffle bar or celebrate the sweeter things with these funfetti strawberry pancakes or a much taller version of this donut tower, your stomach is bound to be a winner. Not to mention, savory bacon is always the perfect pair to any brunch menu. (Especially when it’s heart shaped!) Just ask, The Paper Mama. 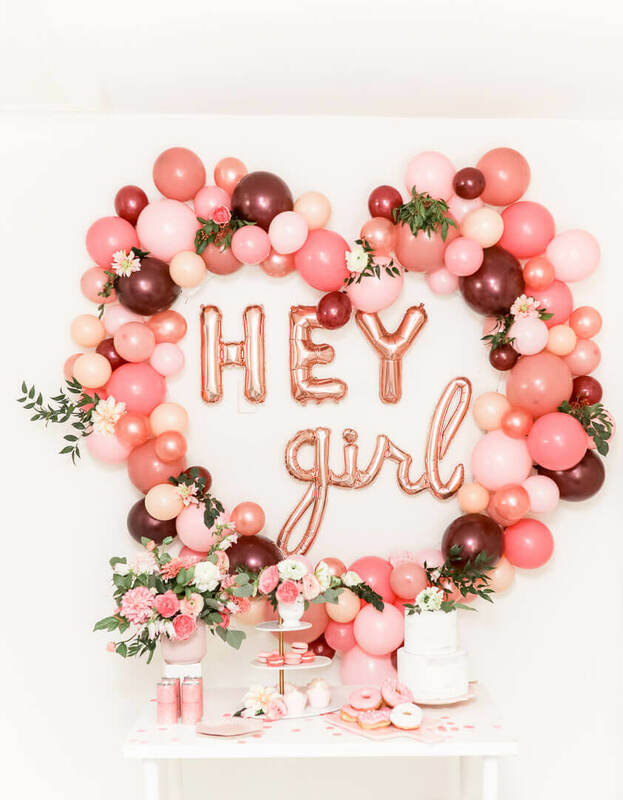 Dress up your spread with a DIY balloon garland and foil balloons like this breathtaking display from one of my favorite bloggers, Cake and Confetti, in her collaboration with Glamfetti Co. Make your own balloon garland backdrop like this one with my DIY Balloon Garland Tutorial, here. Pics or it didn’t happen, right? There’s one thing about girls that never fails. We like to take pictures with our girl friends and our men at events. (or brunch, or really anything!) We honestly love a good excuse to dress up and get our picture to post on social media. Get your gal pals together for some serious Instagram-worthy photos that they’ll post about on #throwbackthursday till the end of time. But first, you’ll need the perfect backdrop. Grab your scissors, this one from I Spy DIY is calling your name. You can also keep it simple like this idea from The Urban Darling. 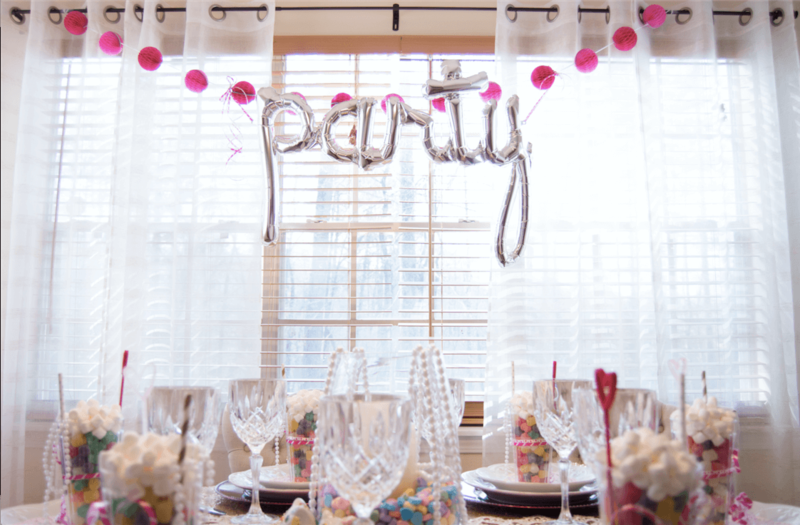 Even better, if you’d rather have your backdrop behind your tablescape, grab a cute foil balloon and some garland to make a quick backdrop with your curtains! You can’t host a Galentine’s Day Brunch without inviting those lady friends that you appreciate so much. 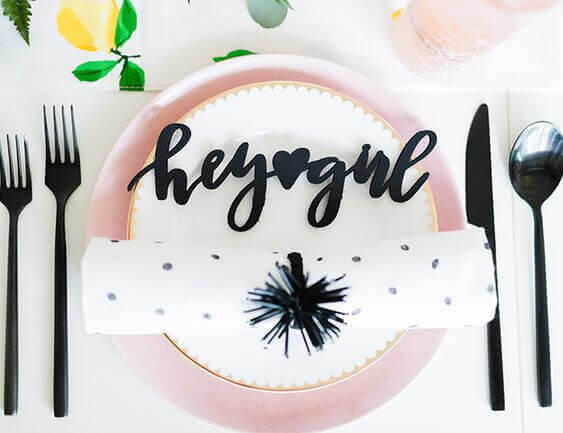 You can invite your friends with a simple text, or go above and beyond to show your love with a DIY invite sent by mail like these darling invites from The Hello Lovely. Enjoy each other’s company and focus on one another by banning phones (except for cute photos! ), work talk, and controversial topics like politics from the table. Take Galentine’s Day as an opportunity to express your appreciation for the ladies in your life and foster community, fellowship, and great conversation. That’s it! Pour yourself a mimosa and put on your cutest outfit. I’ll see you on Galentine’s Day, lady friends! I’m in love with this idea!! Thanks for this! This looks so fun! 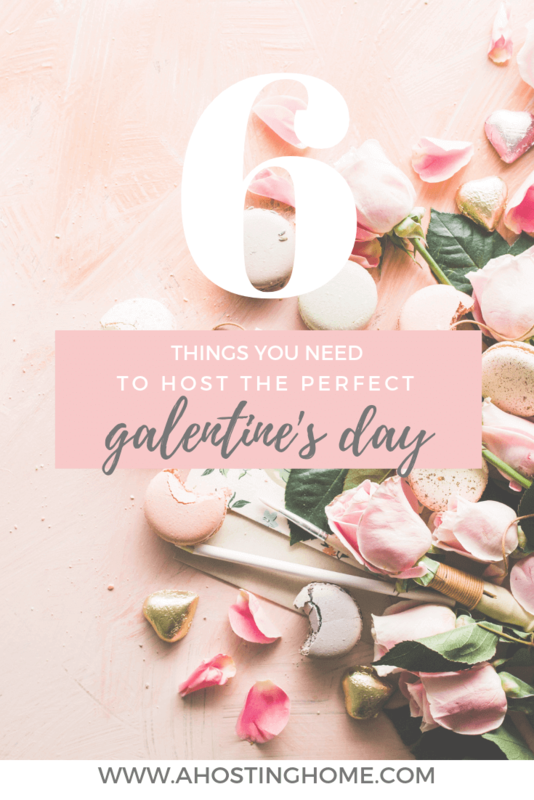 I hosted Galentine’s last year and we sat around in our pj’s and gorged on charcuterie and cheeses! It was the best. This is GORGEOUS!! You certainly have a gift and you are using it so well! What an awesome way to get together with your girlfriends!!! In love with this post! That backdrop is stunning… I’ll have to remember that. 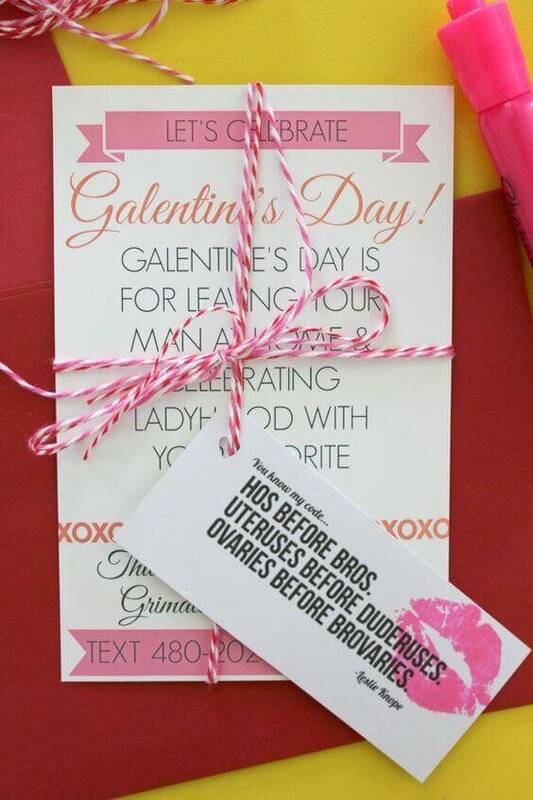 I totally want to host a Galentines Day party this year. Thanks for the reminder! I love it! You did a great job with the decor and food. I definitely have to plan one of these with my girlfriends. Thank you, ayanna! These photos are from my galentine’s brunch last year. 🙂 P.S. You definitely should! OK I’m officially obsessed with all of this! Totally hosting a galentines brunch now. That backdrop is perfection. I throw a Galentines event each year! I love seeing how others celebrate the day because I think it’s such a fabulous holiday! Table looks beautiful. Food looks wonderful. bring on the friends and enjoy. Thank you, Candy! 🙂 These are photos from my Galentine’s Day brunch last year. OMG! 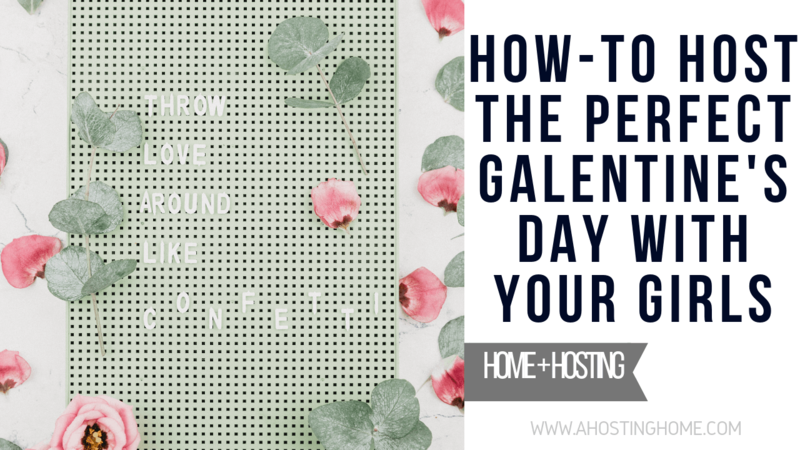 Your post is the one I came to when I googled galentines day. I feel like i know a celebrity. and now i find it again in my friends list. that’s awesome. 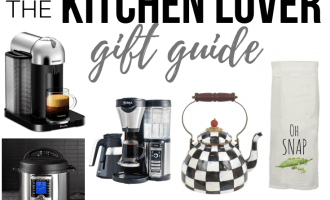 this is certainly a great resouce for everyone who wants to throw a galentines party. How awesome, Aditi! Haha! 🙂 I’m so glad that you loved the post!! 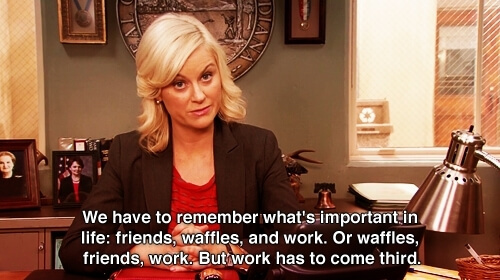 I’m 110% behind Galentine’s Day! Think I’ll invite all my sisters over for brunch that day! 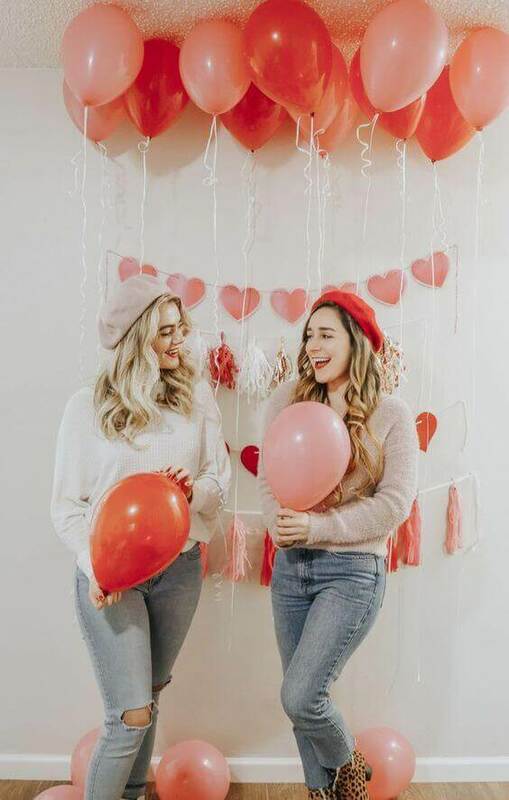 When I first heard of Galentine’s Day, I thought it was such a fun idea! I tell my FRIENDS all the time, that just because we are married with kids, we still need to nurture our friendships! Amen, April!! I totally agree with you! I think it’s even more important after marriage and kids to nurture those relationships. 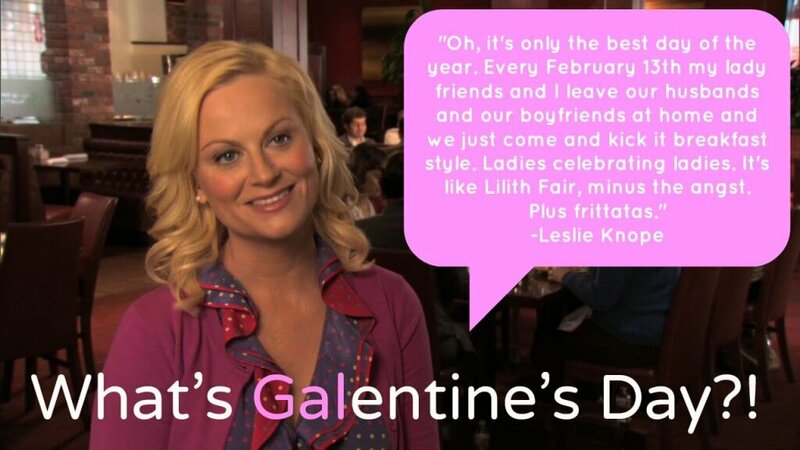 I’d love to do a Galentines party someday… It sounds like so much fun and a good way to spend some time with friends. I also love the decorations you shared. They’re so cute and look easy to make! I love how you pointed out that you don’t need to have fancy plates and silverware to host a fun brunch. All of my friends are single, so I think Galentine’s Day would be a great activity for next year. Because we’re in college, I think a restaurant may be best. Do you have any recommendations?